Children With Multiple Mental Health Challenges presents an evidence-based approach to understanding and treating this difficult population that integrates the child's development and functioning into diagnosis and treatment. It does not rely on diagnostic categories alone, but explores the functioning of children in several dimensions of development and considers multiple levels of influence. 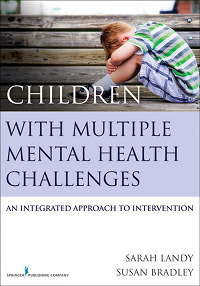 The book builds on an individualized, integrated approach to present various evidence-based strategies for working with children with multiple challenges. It considers children from preschool age to adolescence with a number of severe difficulties. These may include extreme aggression, oppositional defiant behavior, significant anxiety and depression, cognitive and academic challenges, delays in speech and language, problems with attention and concentration, sensory integration problems, and unresolved trauma. The treatment strategies included can be used by various specialists within the intervention team, as well as by parents and teachers.